Motu’s released the working paper they’d presented at the NZAE meetings earlier this year. 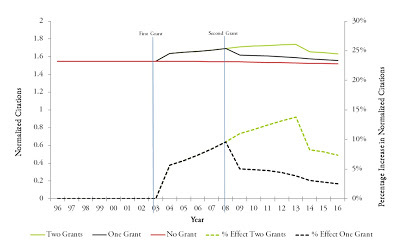 They show that Marsden grants do increase research output. But as for whether the programme is cost effective? Well, that’s more fun. The average researcher on teams receiving Marsden grants made 6 proposals and received 1.2 grants over the period 2000-2012. The Fund allocated just under $68 million in 2013; the standard grant’s maximum budget is $300,000 per year while Fast Start grants are limited to $100,000 per year. Panels reject 71-84% of first round proposals. The Motu analysis looks at second round proposals, 41% of which were funded. Results? Here’s the big headline chart from their press release. So about the biggest effect that they found was that a researcher who received two successful research grants received a 10% increase in publications and a 14% increase in citations. In the regression discontinuity design, comparing project teams whose proposals just made the cut with those that just didn’t, they found no effect. It would be … interesting … to compare the cost-effectiveness of Marsden with an alternative scenario in which academics who maintained a reasonable publication record received an unconditional grant and the money spent on Marsden-related administration went instead into hiring more academics. 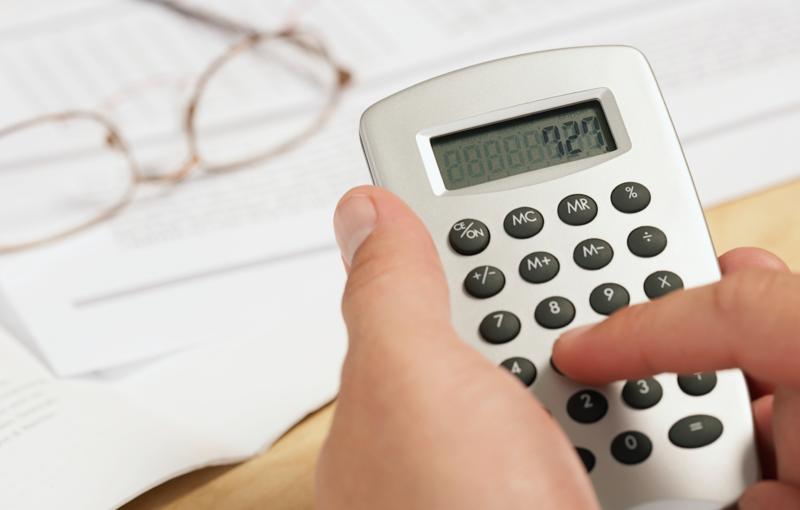 There have to be at least 30 full-time equivalent academic-years that go into Marsden grant writing and grant evaluation.